SBI PO 2017 Recruitment notification for 2,313 vacancies. Download SBI PO detailed advertisement here. 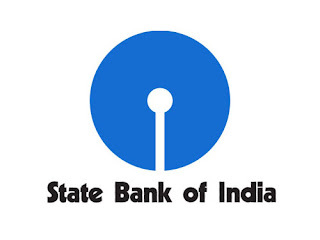 The State Bank Of India (SBI) on Monday issued a notification (CRPD/PO/2016-17/19) for the recruitment of 2,313 Probationary Officers (PO) in the state-run bank. Interested candidates would need to go through a selection process which includes a preliminary and main examination followed by group exercises and interview. The online registration process began on February 7 and will continue until March 6, 2017. A candidate should be a graduate in any discipline from a university recognised by the Government of India or have any equivalent qualification recognised as such by the central government. Those who are in the final year/semester of their graduation may also apply provisionally subject to the condition that, if called for interview, they will have to produce proof of having passed the graduation examination on or before July 1, 2017. Chartered Accountants can also apply. He should not be below 21 years and not above 30 years as on April 1, 2017 i.e candidates must have been born not earlier than April 2, 1987 and not later than April 1, 1996 (both days inclusive). There is relaxation of age for some category of students (like SC, ST, OBC, PWD etc), which can be checked from the recruitment notification. The first stage of recruitment or the online preliminary examination will be held on April 29, 30 and May 6 and 7, 2017. The results of the preliminary examination will be declared on May 17, 2017. The online main exam will be held on June 4, 2017 and its result will be declared on June 19, 2017. The group exercises and interview will be held July 10, 2017 onwards, and the results will be declared on August 5, 2017. Note: Candidates are advised to regularly keep in touch with the authorised SBI website www.sbi.co.in/careers for details and updates.